It is well-understood that the language we speak shapes our perception, the structure of the language affecting the ways in which the speaker conceptualises his or her world. In this regard, bilingualism has been shown to have many cognitive advantages including an additive effect on a person’s creativity. Doireann Ní Ghríofa, a bilingual poet writing both in Irish and in English, exemplifies this. Although the written poems appear on the page in a single language, the thought processes to create them are borne of a far more complex interplay. I like to think of this interplay occurring in a type of cognitive marshlands, a ghostly transition zone between water and land with its own unique emotional ecosystem. Doireann’s poems, it seems to me, dwell in that world, and emerge from it like a rare and endangered species might emerge from its wetlands habitat through an early morning, low-lying mist. Glaoch/Call is a consideration of modern life and love. I am intrigued by the multiple paradoxes of contemporary life — we are more connected than ever through technology, and yet there often remains a fundamental disconnect between us, an emotional distance, a fundamental interpersonal detachment. This poem arose from dissonance between these opposing constructs, and our collaboration in film seeks to further explore this matter. I wake alone, weak under starched sheets. empty without and empty within. I trace this new wound and weep. of a doctor’s footsteps, echoing my heartbeat. aon sreang teileafóin sinn níos mó. do ghuth a bhrú níos gaire do mo chluas. …………………..press your voice to my ear. green flecked garlic breads, chunks of frozen fish. tingle, until my thumbs numb. Strangers unpacked his body in a lab and thawed his hand. I watch my breath freeze. This chapter begins in a pharmacy. greet customers, mix tonics and potions. here, cures come from chemical addition. dispense tablets, count coins, make medicines. you think up tales with each cream you concoct. you conjure symphonies of secret plots. filling the ledger, each word a step to your future. I study the same words again and again. hover over a hundred desks of beech. splits my fingertip—a narrow breach. but the slit stings, insists that I look again. My cracked fingertip turns inside out. Broken skin become walls, white-limed, gritty. rusts in my blood. I can’t live in this city. leads me home. Under beech trees a bee flits, free. 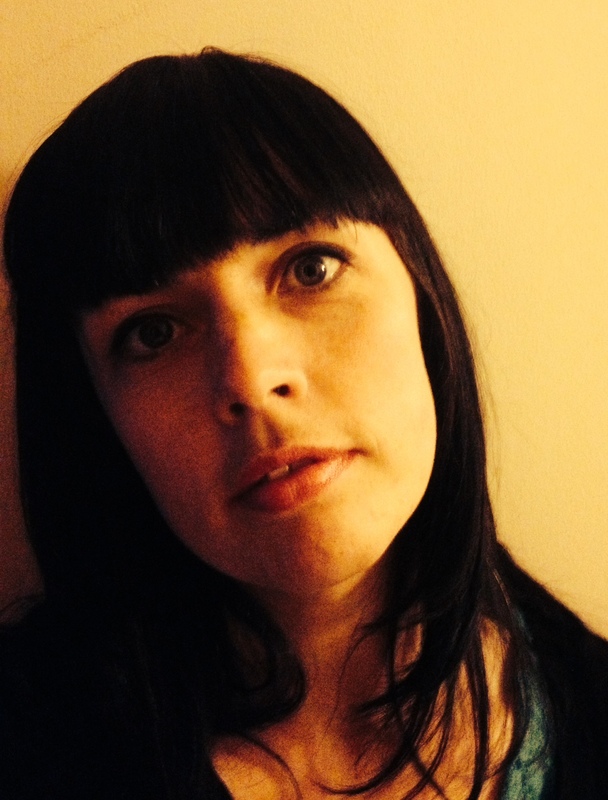 Doireann Ní Ghríofa is a bilingual poet based in Ireland, writing both in Irish and in English. Her poems have appeared in literary journals in Ireland and internationally (in France, Mexico, USA, in Scotland and in England). The Arts Council of Ireland has twice awarded her bursaries in literature. 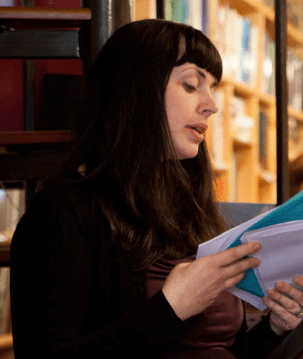 Doireann’s Irish language collections Résheoid and Dúlasair are both published by Coiscéim, and her bilingual chapbook A Hummingbird, Your Heart is available from Smithereens Press. Doireann was the winner of a Wigtown Award (Scotland) in 2012. She has also been nominated for a Pushcart Prize (USA) and her pamphlet of poems in English Ouroboros was longlisted for The Venture Award (UK). Peter Madden graduated from IADT National Film School, Ireland in 2011. Currently working in photography and video advertising, he also works in short documentary, short film and music videos, editing the award winning short documentary ‘Rose’ in 2011. 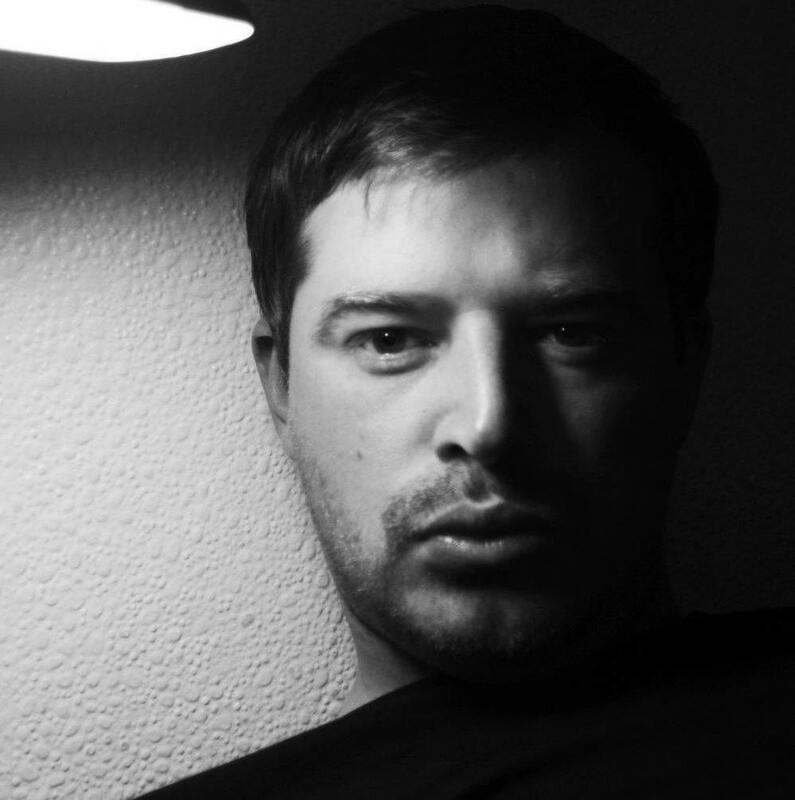 His own directorial pieces have been screened at Irish and international film festivals. He works with two media based companies; Replayhouse and Little Beast, and has just recently co-created MadBag Films, all based in Dublin, Ireland.